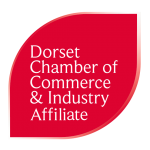 Dorchester Chamber and Dorchester BID recognise the importance of raising awareness of mental health issues in the workplace and how early identification of stress triggers at work can benefit employees and hard-pressed business owners significantly. Zen na’s Mental Health & Wellbeing Training for the Workplace Workshop will be an engaging, informative, interactive workshop designed to provide relief from today’s fast-paced, dynamic and high-stress working environments. In this workshop you will gain an awareness of mental health, the facts about stress and anxiety and how to use mindfulness-based practices to restore psychological wellbeing. Through a combination of information, mental health awareness and mindful techniques you will gain an understanding of how to recognise the signs of stress, anxiety and depression, their impact and how to minimise their effects and generate a positive mental outlook. The half-day workshop will take place on Thursday, 28th March 2019 from 10.00am till 1.00pm at the Town Hall, Corn Exchange, High East Street, Dorchester, DT1 1HF. All delegates get a workbook to keep, helping you on your journey into positive wellbeing both at work and at home. Spreading awareness of mental health issues and using mindfulness techniques for stress-reduction has proved to have a positive impact on office dynamics, with employees reporting higher levels of wellbeing, resilience and job satisfaction. Places are limited for this event – early booking recommended. Price includes workbook and light refreshments. *Dorchester Members and Dorchester BID Levy Payers pay subsidised rates of £29.00 – Normal cost is £49.00.